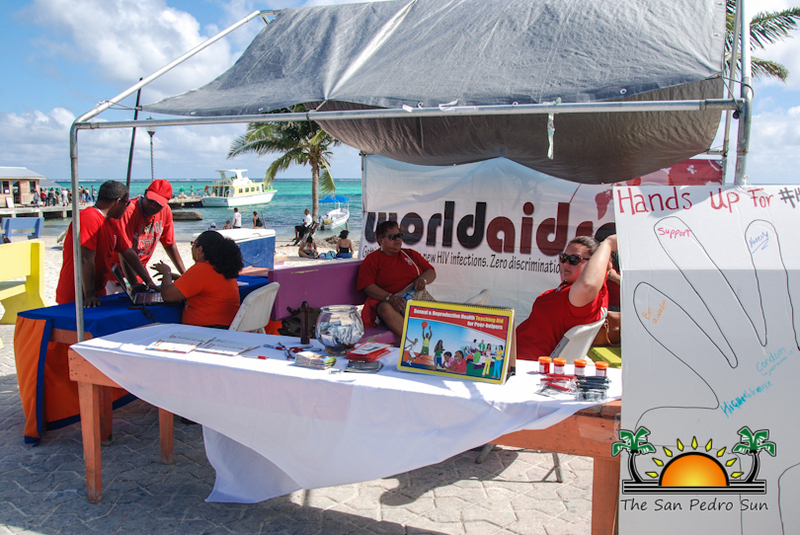 Home » Health » Annual HIV/AIDS Fundraising Fair a resounding success! 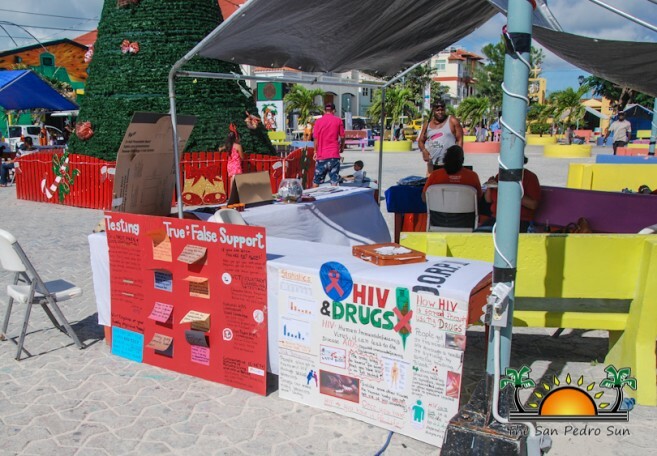 The San Pedro AIDS Commission together with the National AIDS Commission/Island Committee (NAC) collaborated once more to host the annual World AIDS Day awareness fair at the Central Park on Sunday, December 4th. 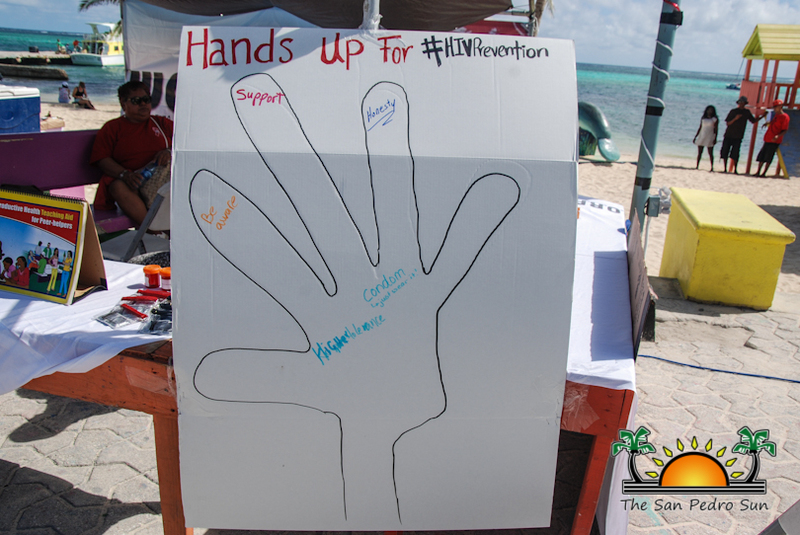 Activities such as free HIV rapid testing, information and counseling, condom distribution, pastry and food sales were the main highlights commemorating the day. International aids day is observed every 1st of December around the world, and is an opportunity for people to unite in the fight against HIV. The activities got underway shortly after 9AM, with a good turnout of visitors stopping by the different booths. 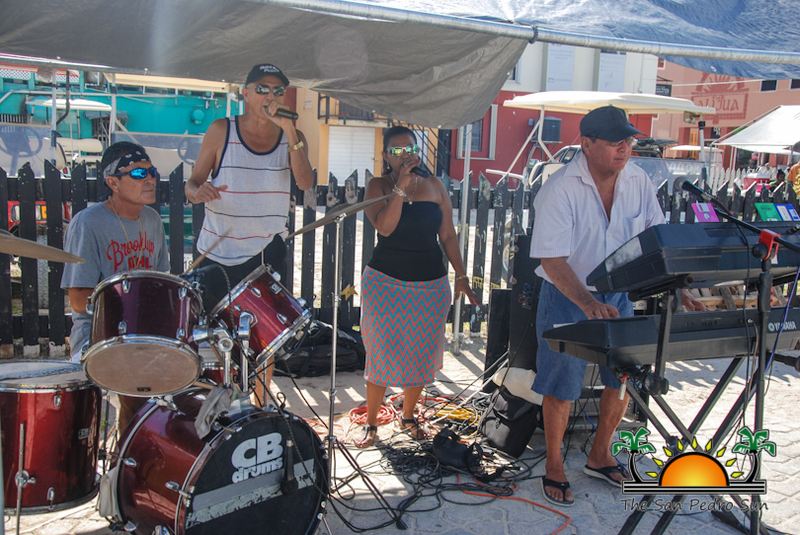 Serenading the event was none other than San Pedro's very own Rompe Raja! While the two groups worked together, they split responsibilities in order to enhance the success of the event. 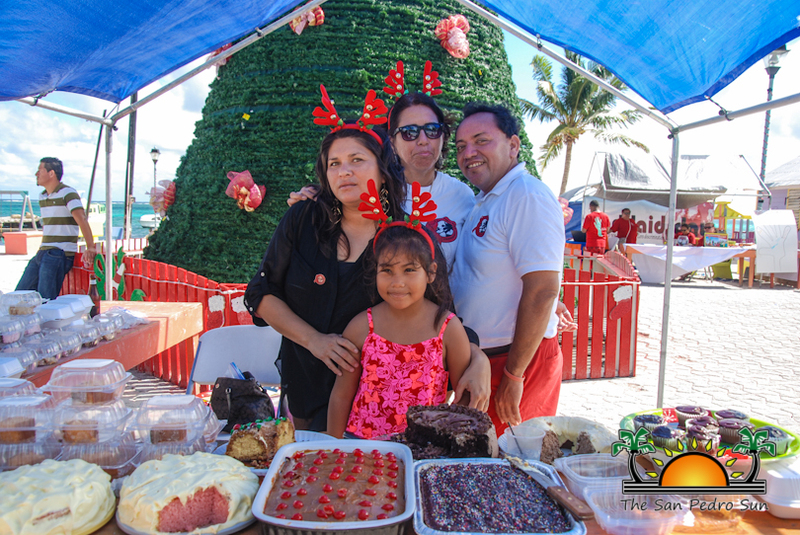 The AIDS Commission sold rice and beans, delicious pastries, and drinks for the fundraising, while the NAC offered free HIV testing, education and counseling. 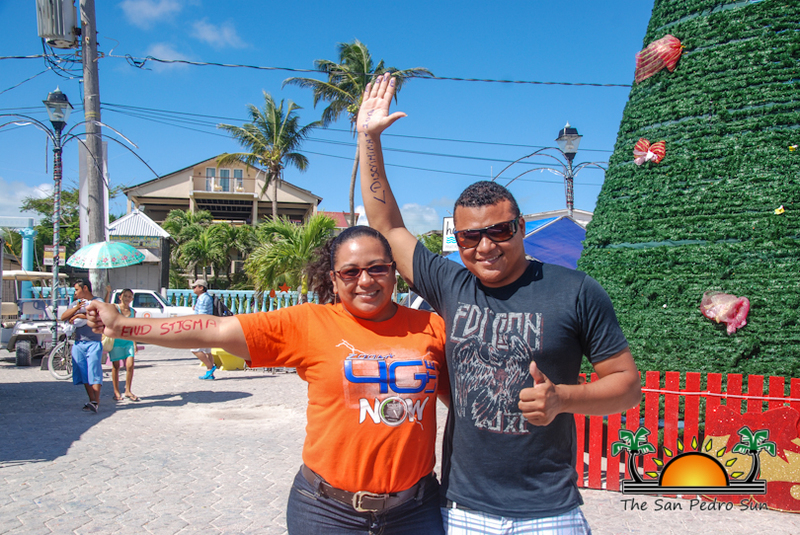 According to NAC’s President Kristina Romero, nearly 50 persons got tested. President of the San Pedro AIDS Commission Felix Ayuso applauded the support from the community towards another successful fundraising. 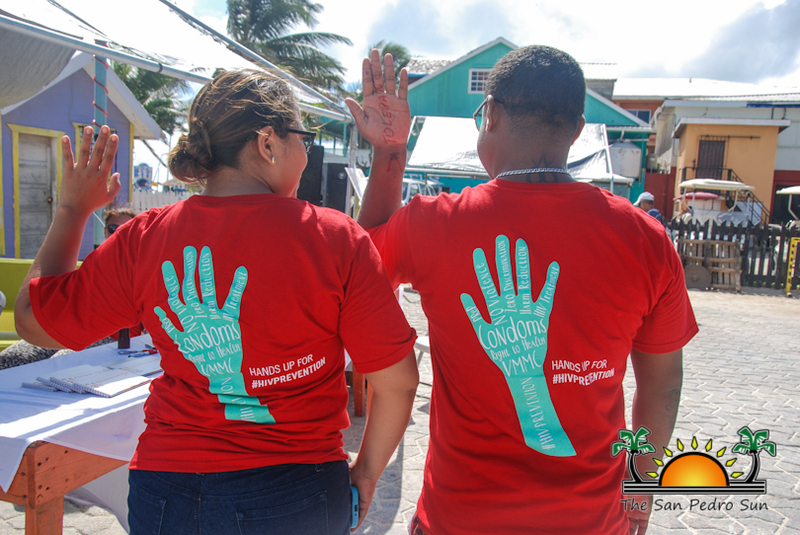 He added that all proceeds from the event primarily assist people that are living with HIV. 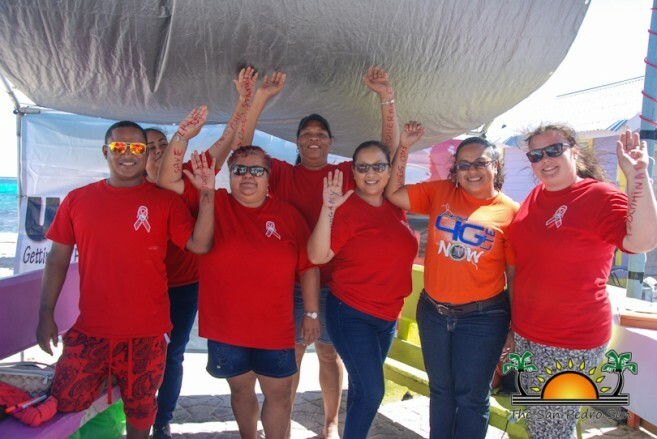 The two organizations would like to extend their gratitude to the members of their committees, volunteers, personnel from Dr. Otto Rodriguez San Pedro polyclinic II and the Ministry of Health, The San Pedro Sun Newspaper, and the entire community for their support.